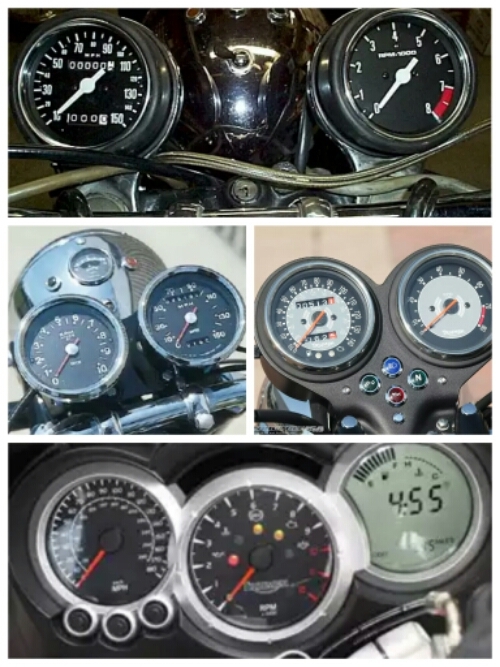 Speedometer: miles per hour is the number we hinge our riding to. How fast we want to go, how fast can we go, how fast we are going. 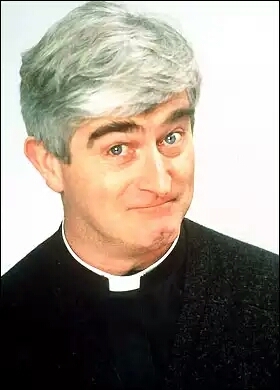 30, 40, 50, 60, 70, 80, 90 The Ton. 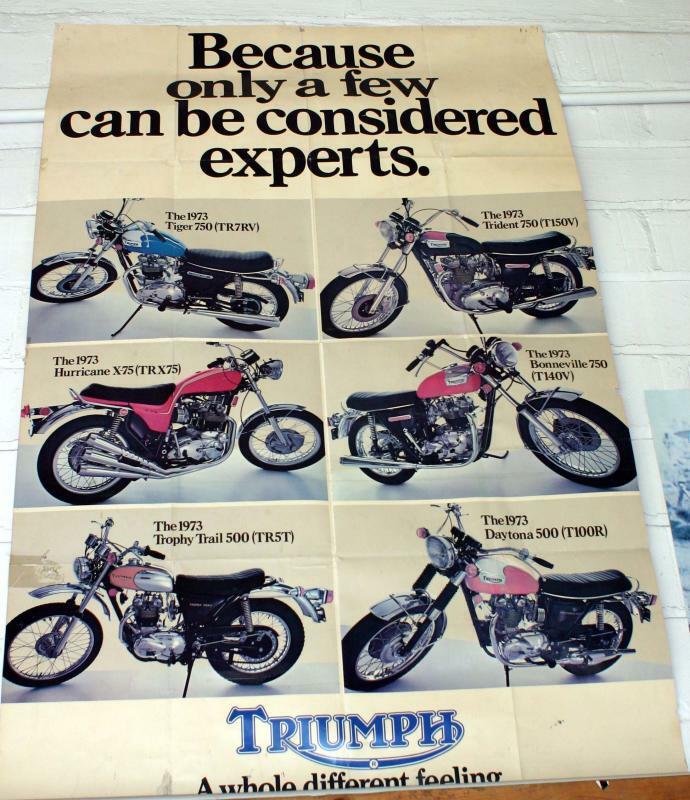 & Daytona, to the twin Bonneville and Tiger in early 750cc guise, to the big triple cylindered Trident and its Vetter-clad Hurricane. Pretty darned good lineup. The words ring true: “A whole different feeling”. 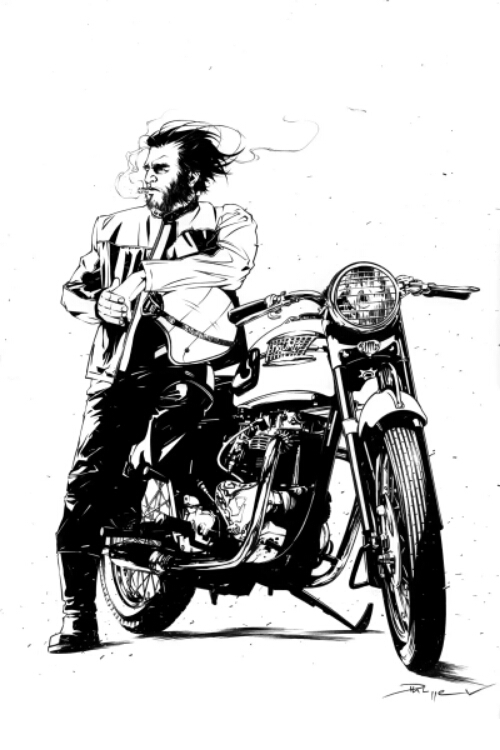 Wolverine looking dour with stogie clenched in teeth. Bonnie is the ride if choice. Perfect ink line work in this black & white illustration. 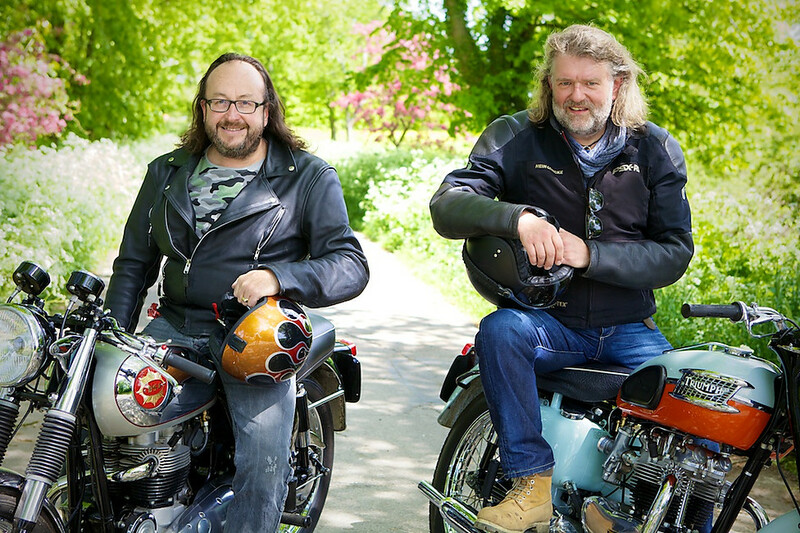 Our four legged furry pup from yesterdays posting leads us on to this pair of Hairy Bikers. It’s Si King and David Meyers. They present a cookbook show in the vein of Keith Floyd meets The Two Fat Ladies. Traveling the length and breadth of the British Isles in search of food delights of blighty. 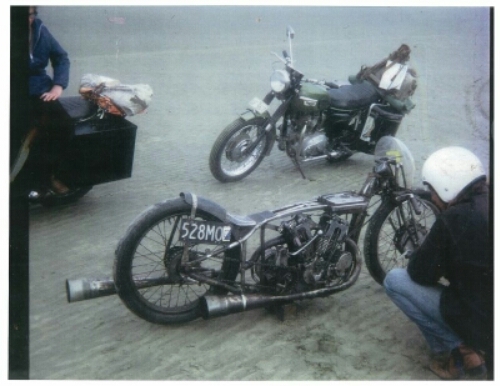 The two bikes here are immaculate stunners: Si is on an early Pre-Unit Bonnie and David a BSA Rocket Gold Star. 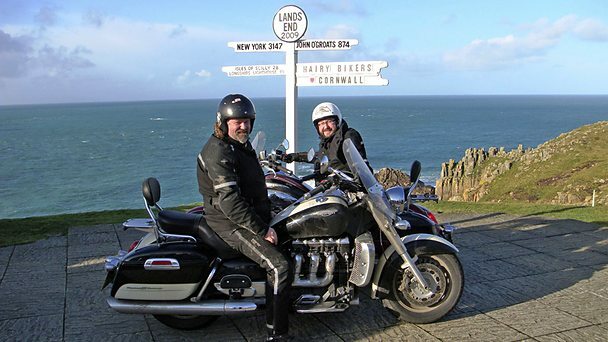 Other motos used include these mike munching Triumph Rocket 3. 2.3 liter heavyweight. John O’Groats is a short spin away. 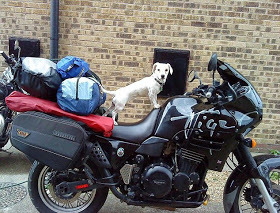 This is Smudge, a young Jack Russell who enjoys riding with her owner Rob Fuller, 50, from Hull. She enjoys her slinger stance on her pop’s chest wearing a pair of doggles to peer into the rushing wind. 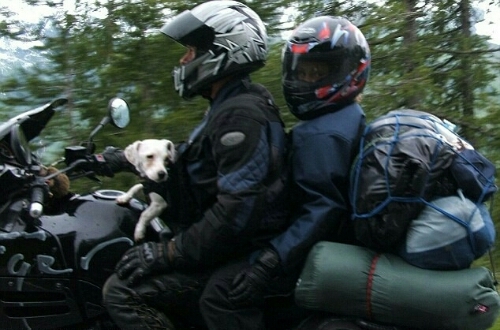 Indeed she’s such an accomplished passenger that she’s toured Europe with mom Lyn on pillion too. 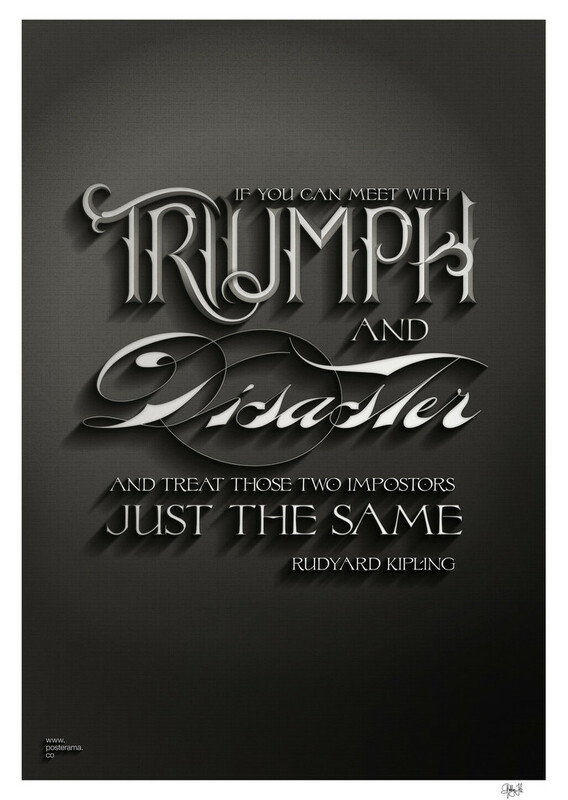 The moto? A beefy black Triumph Tiger. Bathroom breaks are easy too; she rests her paw on dads arm. Turning heads and making friends at home and abroad. 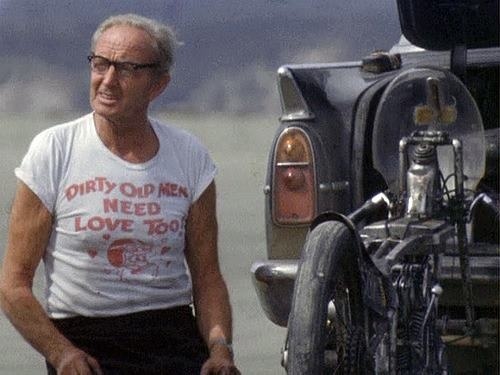 Another birthday today: this time antipodean fast-man Burt Munro. 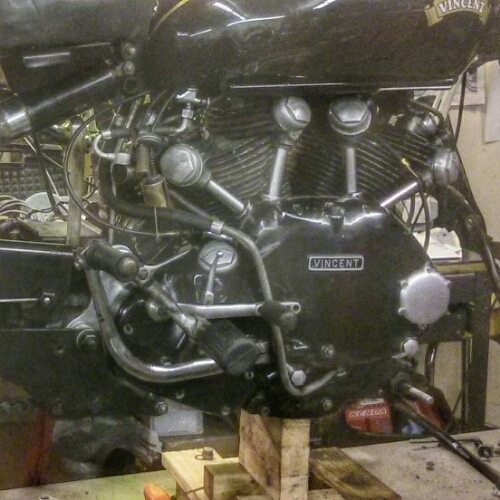 He of the fastest Indian fame, whereby when others look to allotments and fishing into retirement he decided to see what his 1920’s Scout could do on The Salt. 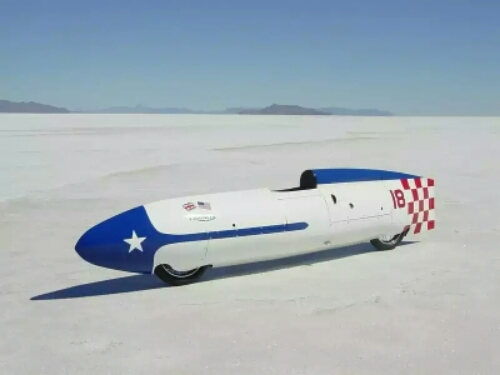 The story is told excellently in the Anthony Hopkins movie for a decade ago “The Worlds Fastest Indian” a cracker of a yarn. 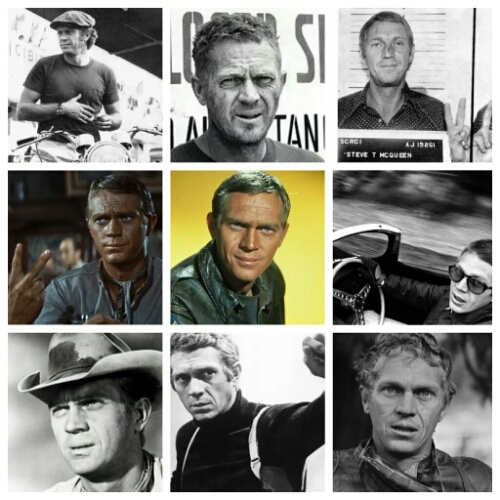 Born in 1899 he spent a lifetime racing motorcycles. Living his life out of Invercargill way down on the South Island of New Zealand. 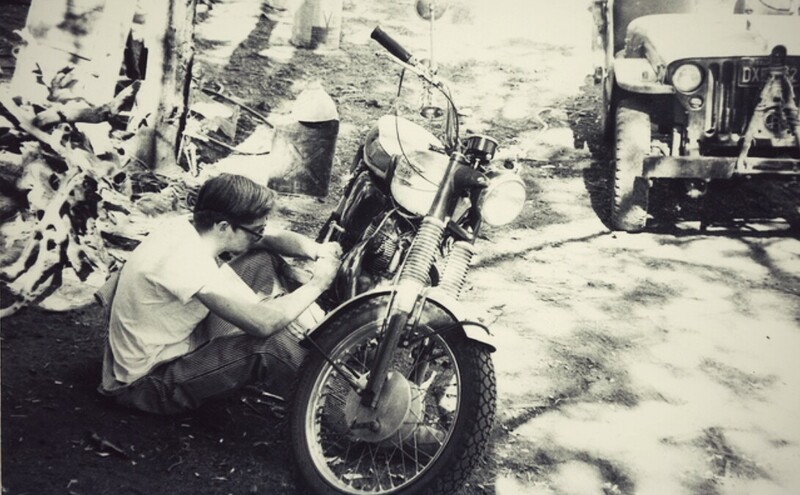 A great photo of him fettling his beach-rod. A world travelers Triumph sits behind. 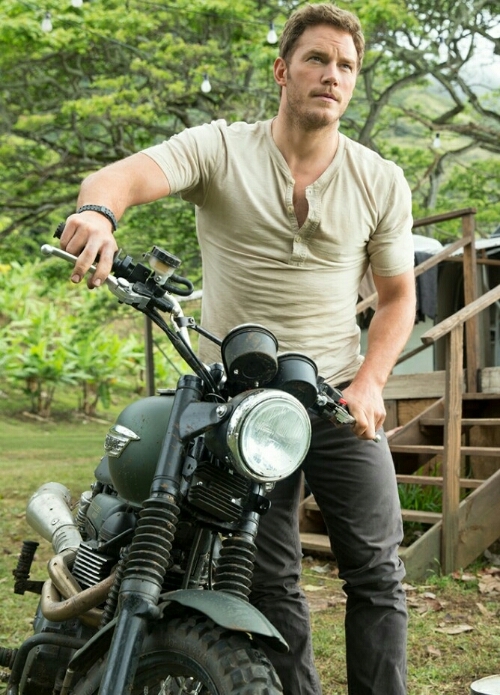 Actor Chris Pratt, also known as Andy Dwyer in Parks & Recreation, is the new lead in the latest Jurassic Park films. With some lizard chasing through lush jungle he utilizes a Triumph Scrambler to keep apace with the velociraptors. 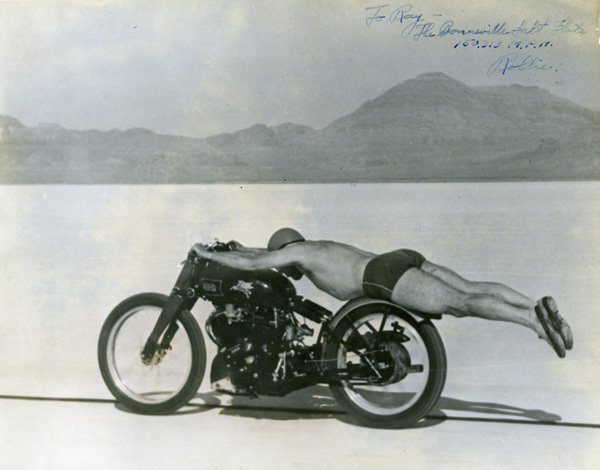 One of the most famous motorcycling photos was taken in 1948 of a speedo suited Rollie Free lay prone along the backbone of a Vincent Black Lightning and tore along the Bonneville Salt Flats at 150.313 mph. The image goes down in history giving Vincent the title of fastest production motorcycle in the world. The “bathing suit bike” came into the possession of Herb Harris the Austin TX collector (whose ‘shop I visited yesterday) before being sold recently for $1.1 million. 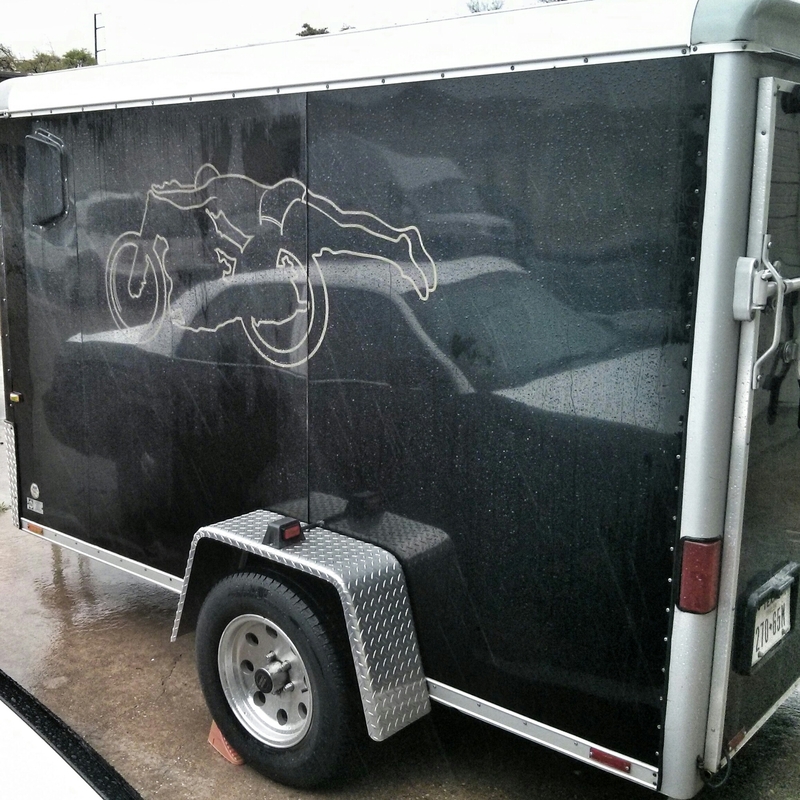 His trailer is still adorned with the iconic outline. 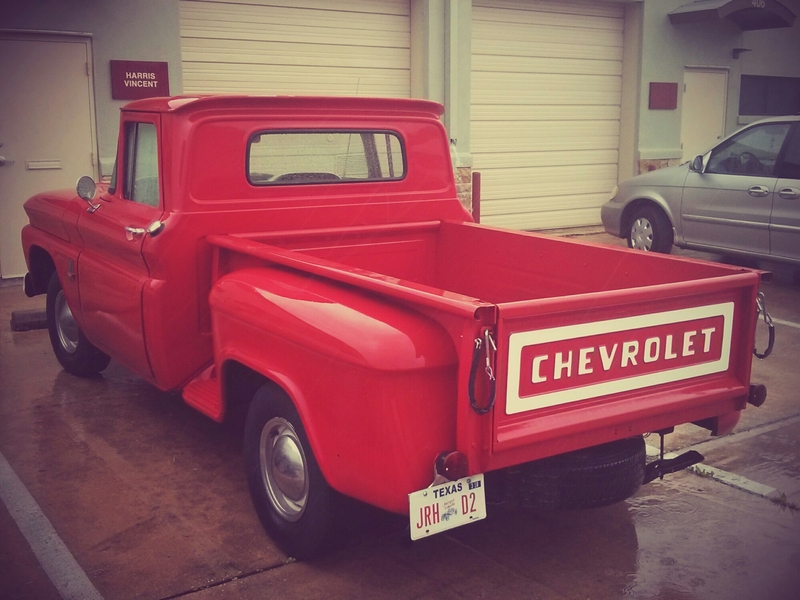 There’s a hidden gem in Austin TX for those who enjoy the finest vintage motorcycles. Harris Vincent Gallery (by appointment only). 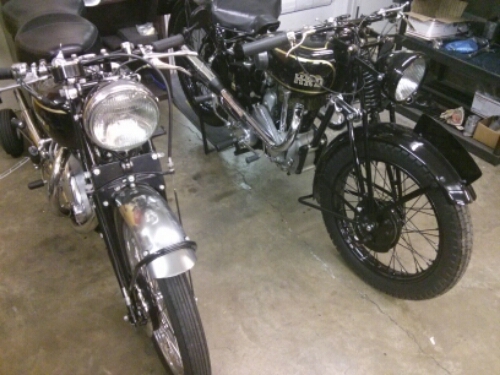 A restoration garage that specializes in those wonderful British twins. 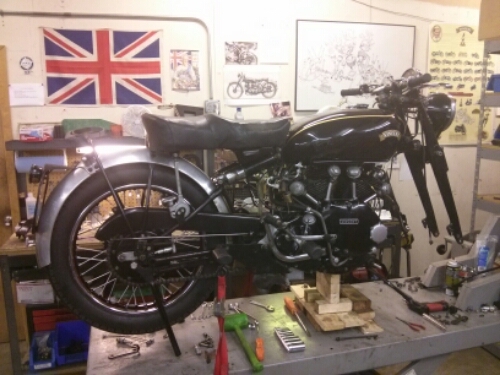 Immaculate Black Lightning, patina’d Rapide, several tarped projects, a Black Prince in the shadows… A bitsa called Guido that was kicked into life with the growl like a panther on the prowl. 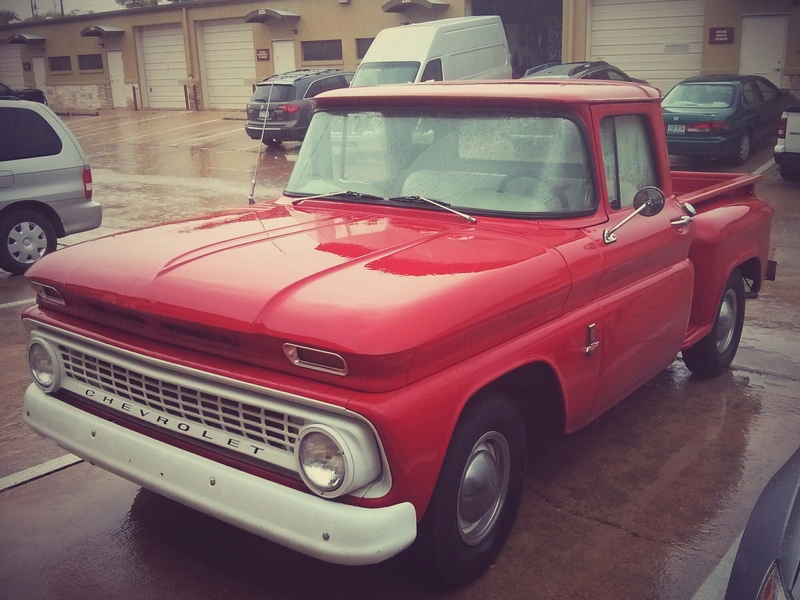 Run by one-time attorney Herb Harris with a very capable team of mechanics headed by chatty Tim; it’s overriding mission is to ensure Phil Vincent’s machines stay roadworthy. It’s like being in the room with immortals. These will pass down time, in the guardianship of their owners. Hopefully ALL will be occasionally taken out for a fast spin along the road letting their hefty engines stretch their legs. Here is the Hinckley commemorative Bonnie called the T214 after the Allen record breaker. Color as the streamlined Lone Star streak as noted yesterday. Nice looking machine. Only 1000 to be made. I’m in the Hill Country at Austin Texas. 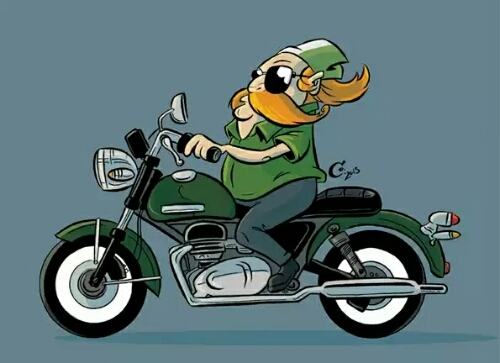 For motorcycles it brings to mind Johnny Allen’s Texas Ceegar. 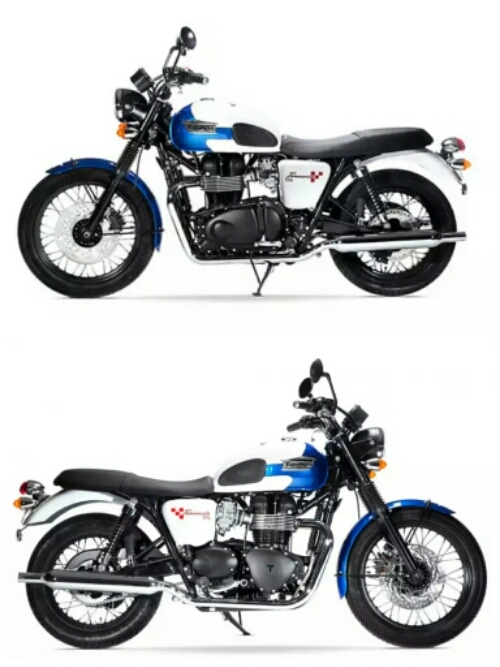 The twin engined streamlined Triumph that linked the Bonneville name to Triumph forever.